There were three Karaka graduates in Saturday’s G3 Canterbury Gold Cup at Riccarton - and they finished first, second and third. 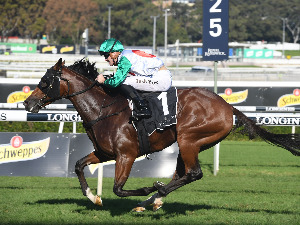 The $44,000 Festival Sale purchase Who Dares Wins (Iffraaj x Wee Tiple by Centaine) completed a black type double in a week after he collected the first stakes win in the Listed Easter Cup the previous weekend. Raced by a large group of owners and trained by Tony and Lyn Prendergast, Who Dares Wins was purchased by Phill Cataldo Bloodstock and has now had 48 starts for eight wins, 13 placings and $250,963 in stakes – more than five times his purchase price. Runner-up Residential (Pins) was passed in at the 2015 Premier Sale with a $60,000 reserve while third-placed Dee And Gee (Darci Brahma) cost just $16,000 at the 2015 Select Sale. Who Dares Wins and Residential had finished first and second in the Easter Cup and repeated that result when he edged away to win by three quarters of a length. Who Dares Wins was beaten in a photo finish by Saint Emilion in last year’s Canterbury Gold Cup. Wee Tipple, the stakes winning dam of Who Dares Wins, has produced four other winners including the G3 placed Mae West (Sir Percy). The family includes G1 winners Linc The Leopard (Balmerino) and Trap For Fools (Poet’s Voice) is among 11 stakes winners under Wee Tipple’s first three dams. A 2YO full sister to Who Dares Wins was sold for $85,000 at Karaka last year and she was bred back Ifraaj last spring. •	Saturday’s Listed Hawkes Bay Cup winner Felaar could have been bought for just $10,000 at the 2015 Festival Sale at Karaka. The son of Ekraar picked up his first stakes win with a thrilling victory at Hastings after placings in the Listed New Zealand St Leger, Listed Metropolitan Trophy and G3 New Zealand Cup. 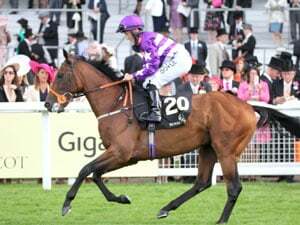 On Saturday Felaar (Ekraar x Felt That by Faltaat) beat the G3 Counties Cup winner Igraine (Galileo) and G2 Awapuni Gold Cup winner Jacksstar (Zed). Felaar has now had 19 starts for four wins, nine placings and $177,300 in earnings – more than 13 times his Karaka reserve. Felaar is the second foal of the winning mare Felt That. Felt That’s third dam produced two-time G1 winner Riverdale (Riverton) while Felaar’s younger full brother That Said has won two races. He was Felt That’s final foal. 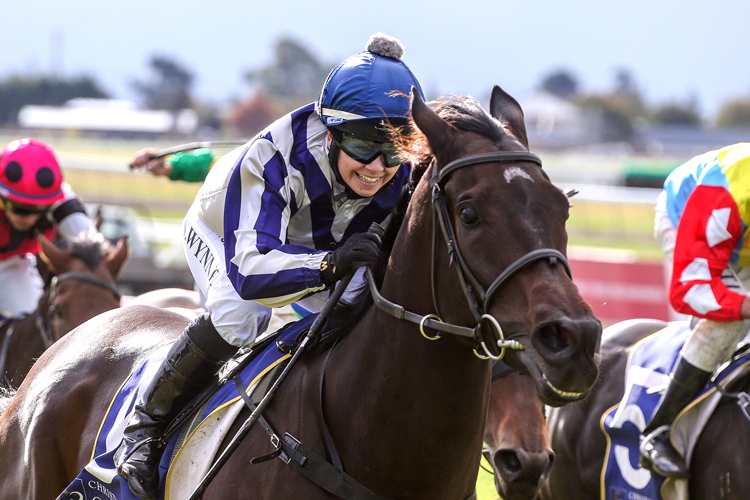 * Saturday’s Listed NZB Finance Sprint at Hawke's Bay was another highlight in a sensational campaign for the Pins mare Princess Kereru. Passed in with a $40,000 reserve at the 2015 Select Sale at Karaka, the Matamata mare began this season as the winner of three of her 16 starts but has since added another four wins from nine starts. They include two at stakes level plus a close second in the G1 Sistema Railway at Ellerslie on New Year’s Day. Princess Kereru’s black-type breakthrough came in the G3 Waikato Stud Plate at Ellerslie in March. Princess Kereru (Pins x Fleur d’Amour by Thorn Park) has now had 25 starts for seven wins, eight placings and $253,125 in stakes – more than six times her reserve at Karaka. She is trained by Ken Kelso for her breeders K R and R P Humphries with the PR Partnership. Her dam Fleur d’Amour is a half-sister to the G2 winner and G1 placed Thunder Lady (Mastercraftsman). Fleur d’Amour’s second dam also produced the G1 winner Tully Thunder (Thunder Gulch), the granddam of G1 ATC Derby winner Levendi (Pierro) and G1 placed Fleur De’here, the dam of G1 placed Zamzam (Redoute’s Choice). Fleur d’Amour had a Shocking colt in 2017 that will be offered at the 2019 NZB Karaka May Sale. Race Synopsis: This G3 Open at 2000m under WFA drew a mostly old and well tried field that lacked genuine depth and many of these are handicappers including the winner Who Dares Wins that scored comfortably enough. The rising 7yo had won fresh up here last week in a Listed mile with 53kg, a trip he had never been able to score at before, so was in good order and today rose in grade and trip plus carried 59kg to deliver. The winners and where they turned for home in race order were sixth (six-off the inside and two lengths from the leader), led (five-off the inside and head in front), fifth (six-off the inside and length and a half from the leader), led (three-off the inside and length in front), led (four-off the inside and a neck in front), fourth (ten-off the inside and length and a half from the leader), fifth (twelve-off the inside and three and a half lengths from the leader), led (ten-off the inside and half a length in front) and led (eleven-off the inside and neck in front). Who Dares Wins was North Island trained originally with and had thirteen starts and looked to be struggling to break through then was sent to the South Island and for a new yard immediately found things so much easier. He has in twenty-five starts more since won eight races and seven of them have come at 1800m to 2100m. Today he won by just under a length in 2:03.18, so the Listed winning filly in the race prior to this ran better time tellingly. Who Dares Wins trailed the inner and worked off across the top and challenged before the home turn and took the lead then kept going to repel all threats. Residential is an in form 5yo mare and at her first try at 2000m has a G3 second against allcomers under the WFA scale. She raced fifth or sixth the outer and came through near the home turn to be second and chased the winner in vain thereafter. Dee And Gee, a handicapper through and through that has only won four races and last time out finished a distant fourth at G1 over 3200m with 53.5kg, came back 1200m in this and rose 3.5kg. The fact she could do so after being second the outer then challenged and leading midrace and going clear only to be headed and fourth before the home turn says more about the rest. She fought back to get third at the 200m and was just under four lengths from the winner but she out-toughed for this position the favourite, a rising 10yo in Authentic Paddy that has led and won a G1 at WFA at Ellerslie over 2000m. 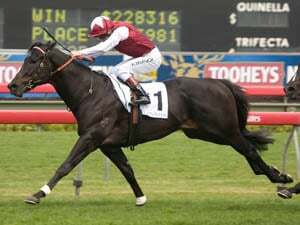 Authentic Paddy in fact has not won a race since December of 2017 (a G1 at WFA over 2000m at Ellerslie) and if any horse shows the lack of WFA depth in New Zealand over a longer period then it is this old warhorse. He led today then got headed by Dee And Gee and was second then third wide across the top and fifth turning for home and he ground away to be fourth at the 25m but had his chance. Post race he was found to be in mild distress and tying up so the old fella gave it his all and clearly felt the trouble for his efforts. Tommy Tucker ran on from the rear duo and the rising 11yo is a deep South evergreen it seems. 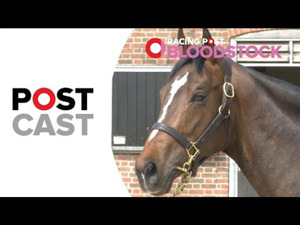 His stablemate Gallant Boy, a rising 9yo, raced seven or eighth then came up sixth turning for home and battled away thereafter to be sixth at the line beaten five and a half lengths. Atlanta Peach, an easy winner here last week in Benchmark 72 (five grades inferior to this on paper at least), could not rise this far and go up 1kg when a lightly tried 4yo mare having her first try at Blacktype. She raced fifth the inner mostly then came off across the top to fourth and into third turning for home but she could not sustain it and weakened but she has it all ahead still. The handicapper Gorbachev raced ninth and just battled to finish eighth beaten almost seven lengths. Anythingcouldhappn, Flying Sardine and Koxinga got back and never looked a possibility while Bloodstream finished a clear last and has not come up this campaign it seems. This was not a G3 and was Listed at best and the result proved it with handicappers running first and third and a mare splitting them was having her first try at 2000m. When a rising 10yo in Authentic Paddy that has not won for ages starts favourite in this and cannot even make the top three then that alone says it all about the race depth.